Industries associated with the city of Bradford include textiles (and particularly wool - for which the city is historically famous), chemicals, engineering and manufacturing. Avanta UK Ltd. - based nearby in Leeds, but operating in Bradford (see news items below) as well as nationally throughout the UK. 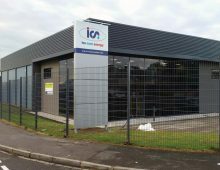 A "cool" refurbishment for ICS Cool Energy (pictured above) by Leeds based Avanta UK Ltd.
Case studies of projects in Bradford by Leeds based Avanta UK Ltd.
Case studies of projects in Cleckheaton by Leeds based Avanta UK Ltd.